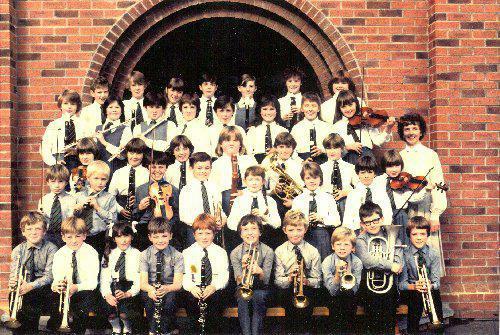 If you know anything or can name the pupils who we don't have names for in this photo contact us. The photo is courtesy of Andrea Fraser. Thanks go to John Murdoch, Heather Kell, Karen Coates and Joanne Whitford for helping with names. Middle Row Mandy Robinson, Gillian ? ?, Joanne Whitford, Nichola Lavery, May Shekelton, Andrea ? ?